Biker culture has been anti-establishment from its very beginnings in the 1950s. It has also developed a very distinctive style and this has been used as the inspiration for two new boots for AW14. The Kathleena is a calf-height boot with a fold-down option. 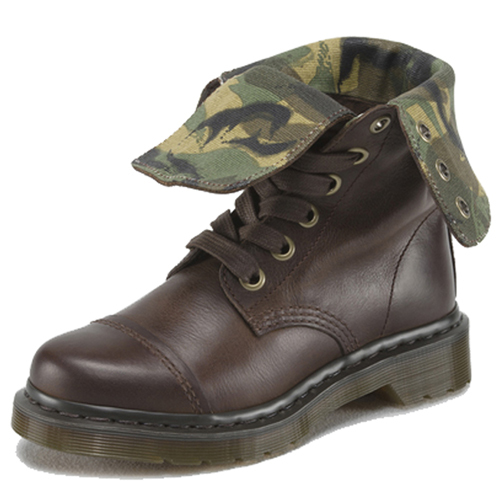 It is based on an engineer boot but uses buckles instead of laces. The same versatility is found with the 9-Eye Toe Cap Aimilita.